The stunning Riad Lâ€™Oiseau Du Paradis is a traditional Moroccan guesthouse ideally located right in the medina area of Marrakech, just a short stroll from a number of the most popular attractions in the city including the Jemaa El Fna Square where dance troupes enchant visitors, the Majorelle Gardens and the Museum of Marrakech to name but a few. The riad boasts an impressive array of features for guests to enjoy including a plunge pool on the tranquil patio area and a rooftop terrace with stunning views over the medina and the now-capped Atlas Mountains. 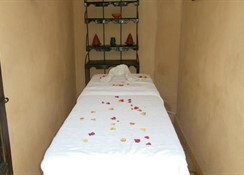 Guests seeking to fully relax can choose from a number of different massage treatments and services. 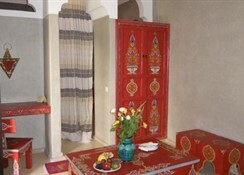 Each of the rooms are traditionally decorated in a Moroccan style with carved furniture and colourful fabrics and feature ensuite bathrooms, Wi-Fi connectivity, a seating area and some feature four-poster beds. For dining there is a restaurant serving a range of traditional Moroccan and international cuisine which can be prepared for lunch and dinner and enjoyed on the patio or in the elegant dining room. A breakfast service is offered daily. Additional amenities include room service, car hire, 24-hour front desk, tour desk, luggage storage, concierge, laundry and ironing service and photocopying. 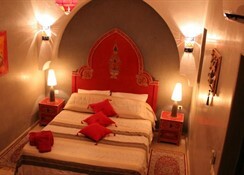 The Riad Lâ€™Oiseau Du Paradis is ideally suited to those seeking a truly Moroccan stay right in the centre of the city, away from the hustle and bustle of the busy city roads. 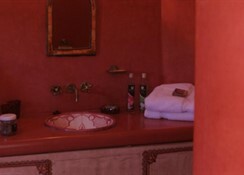 There is an idyllic plunge pool for guests to take advantage of. 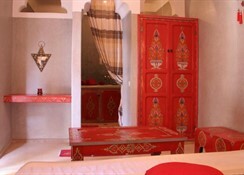 Each of the rooms are traditionally decorated in a Moroccan style with carved furniture and colourful fabrics and feature ensuite bathrooms, Wi-Fi connectivity, a seating area and some feature four-poster beds. Certain amenities may be payable locally. The hotel features a restaurant serving a range of traditional Moroccan and international cuisine for guests to enjoy upon request. A breakfast service is offered daily. 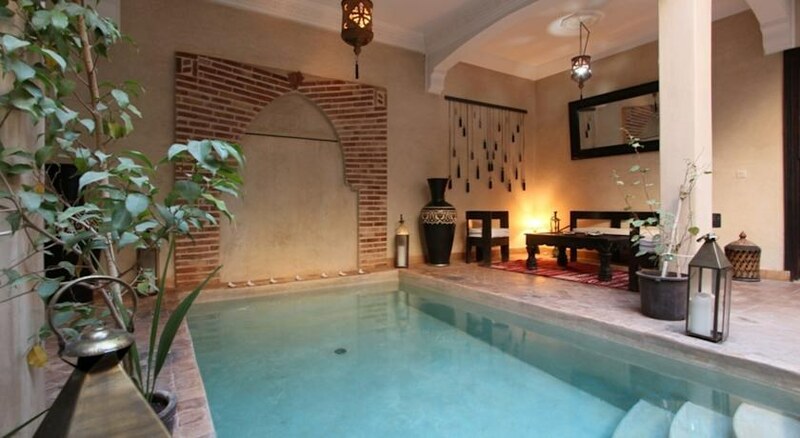 This riad is ideally located right in the heart of exotic Marrakech-a city split into the old town and the new town, this cultural metropolis boasts a number of cultural attractions and open-air markets filled with live entertainment. At night the city comes alive, offering exotic food, vibrant nightlife and a truly unique atmosphere.